Cone in 60 seconds? 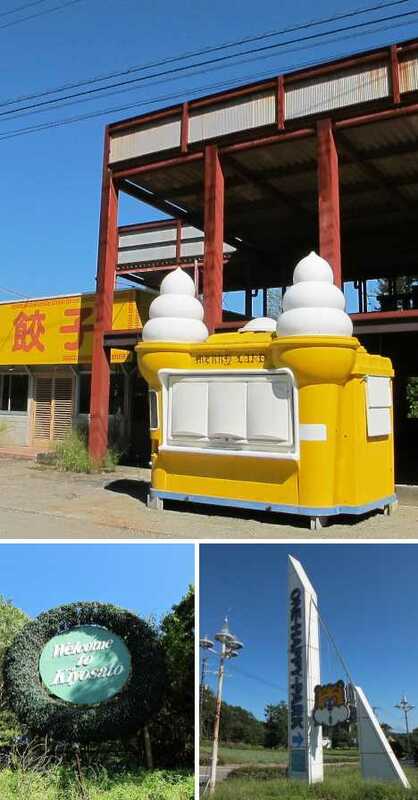 Though these 12 cool abandoned ice cream stands thought they could take a licking and keep on ticking, they ended up just being licked. 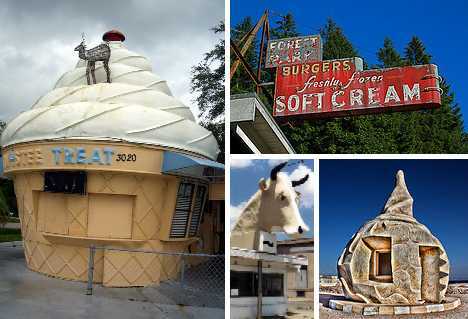 Around 90 fiberglass Twistee Treat buildings were produced from 1983 until 1990, when the original company filed for bankruptcy, and about half the distinctive, cone-shaped buildings remain standing. 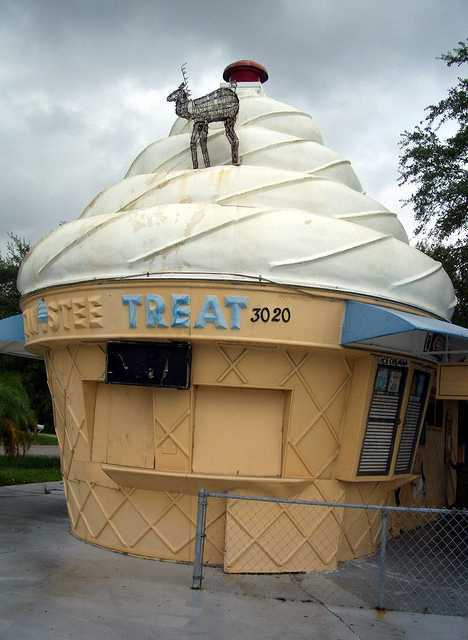 Above is an abandoned Twistee Treat in Sarasota, Florida, captured in September of 2005 by Flickr user Telstar Logistics. Designed by Robert G. Skiller, many of the 28 ft tall and 20 ft wide buildings have been painted in a wide variety of colors; others don’t even sell ice cream anymore. 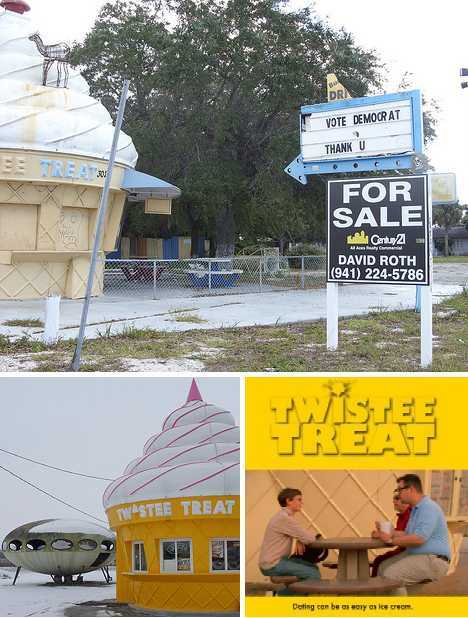 Due to their unique visual appeal, abandoned Twistee Treat buildings often exist in an odd architectural limbo between being quickly re-opened/re-purposed or (thanks to their light, unit construction) transported someplace where someone’s opening a new ice cream shop – it’s free advertising from the get-go, without the expense of a sign! 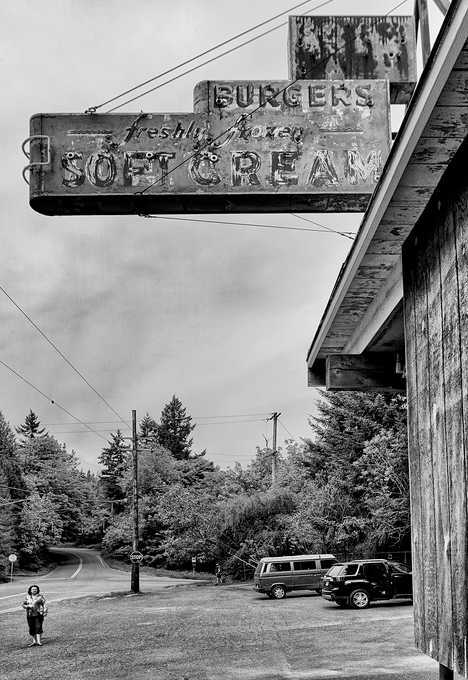 German Photographer/artist Sarah Ortmeyer‘s first solo show, “Sad Eis” (Sad Ice), included the above evocative snap of the closed Lasso Laden ice cream shop. 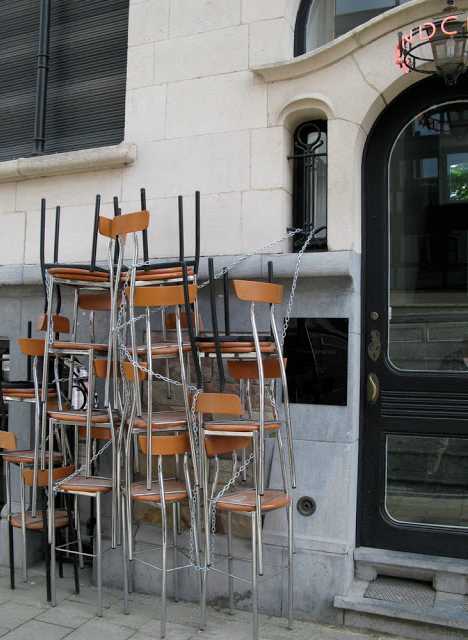 Would it not have been easier to simply leave the shop’s seats inside and locked up instead of chained together outside, vulnerable to the vagaries of vagrants? Only Ortmeyer knows for sure, and she’s keeping that scoop to herself. Flickr user Swedotorp picked the perfect days (June 14th and 15th of 2008) to immortalize the abandoned Forest Park ice cream stand in all its faded glory. Located near Portland, Oregon, the stand would seem to be the right business in the right place at the right time. Unfortunately, the aged elegance of the mid-century style paint & neon signage indicates this stand’s time has long since melted away. 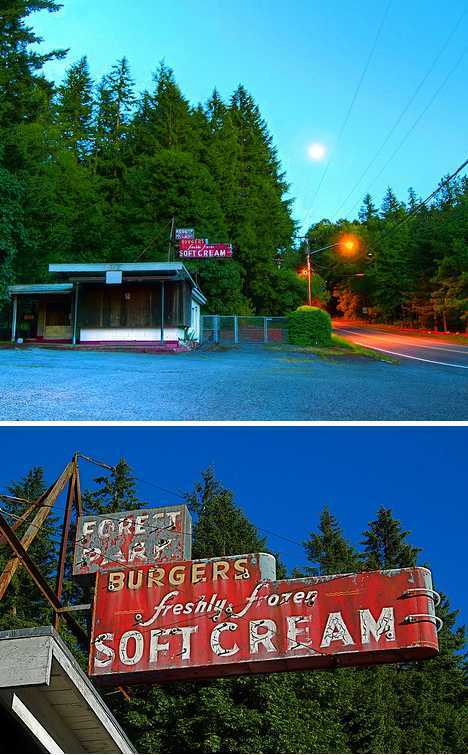 Flickr user Darren Sethe stopped at the abandoned Forest Park ice cream shop four years later in 2012 but not much had changed, barring the loss of a few more flakes of paint from the ancient sign. Sethe’s stark monochrome treatment seems to add a dash of timelessness to the ice cream-less scene. Kiyosato, Japan was a popular travel and tourism destination whose prospects weren’t improved by the 2011 Great East Japan Earthquake and the subsequent Fukushima Daiichi Nuclear Plant accident. Among the area’s attractions was the now-abandoned One Happy Park, explored and recorded in September 2011 by urban explorers from Spike Japan. The abandoned park exudes an unfortunate and uneasy aura epitomized by the not-so-merry Merry Land ice cream kiosk just outside a ramen restaurant.